Katy had just graduated from the University of Colorado in Boulder when she, too, was asked to join the Ironwood Development team with Matt. “I knew Katy would be a good fit. We were raised with the same traits. She is fair, honest, reasonable, and competent. Plus she has her own strengths. She is a natural communicator and excellent listener,” he says. True to Matt’s prediction, they work together well. 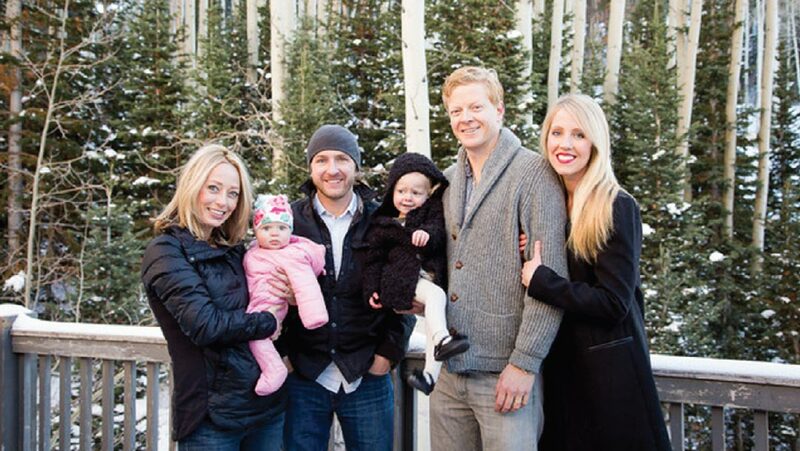 For five years they went their own ways, but both stayed in Park City and headed into residential real estate. First Katy got her real estate license, and then Matt. 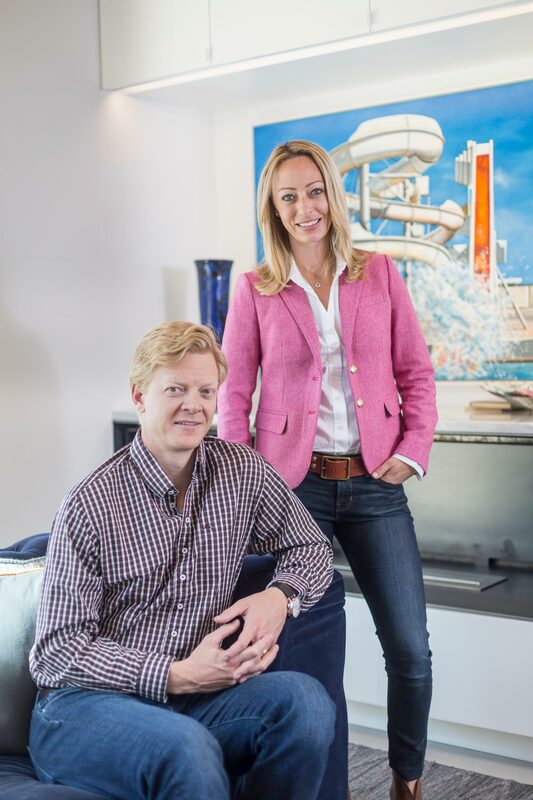 Matt was buying out Will Lange’s real estate sales business and invited Katy to join them and be part of the team at Summit Sotheby’s Park City. And how has it been to work with her big brother? “First and foremost, we have a ton of respect for one another, and we genuinely care about each other’s individual success. We have a business plan, but we kept the expectations for our relationship informal. We know how our actions can affect our individual families both positively and negatively,” Katy explains. As brother and sister, working together benefits from their similarities as well as their differences. In addition to the similarities they share, Katy mentions one more point, saying, “There is no room for ego in this business, and we both manage to leave it out. It’s not about us; it’s about doing a good job for our clients.” Katy sees that their skills balance well. “Matt is very analytical and skilled with figures. He also brings in great leadership, and he is very involved in our local community,” she explains. There’s a downside and upside to working together. “The disadvantage is obvious. We can’t get away and take a vacation together even though our children are similar in age and it would be fun. But there are advantages: we have a deeper bond and relationship, we get to know each other better, our children get to know one another well, and when the kids are sick, there is no question of helping the other out. There is perhaps a freer flow of information, and we feel comfortable trusting and relying upon each other. We’ve got the other’s back,” says Katy. 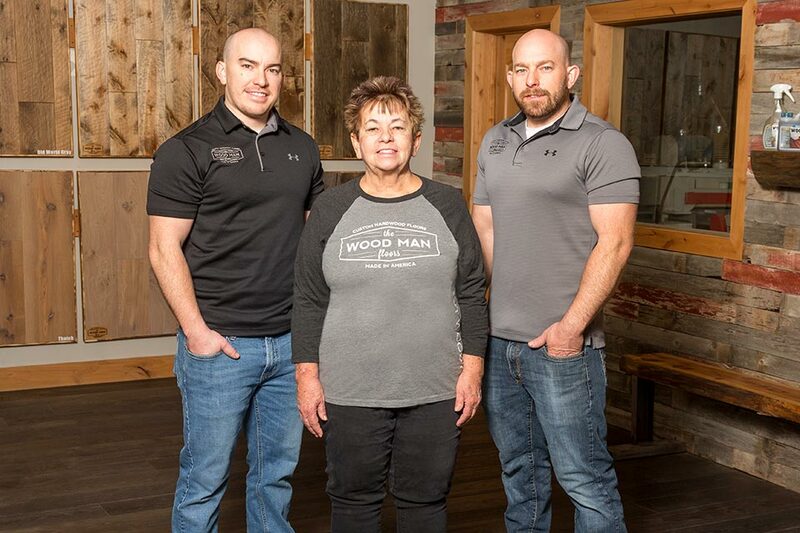 Karen Larson and her sons Kyle and Josh make up the crew at The Wood Man Floors. They staff the showroom, run the office and warehouse, and manufacture up to 1,000 square feet of prefinished wood floors each hour. 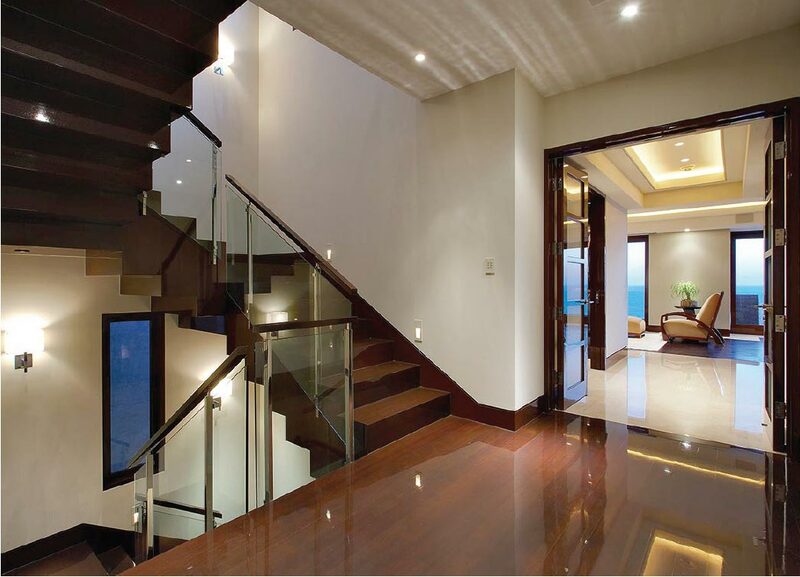 The floors are entirely custom in material, dimensions, color, and finish. 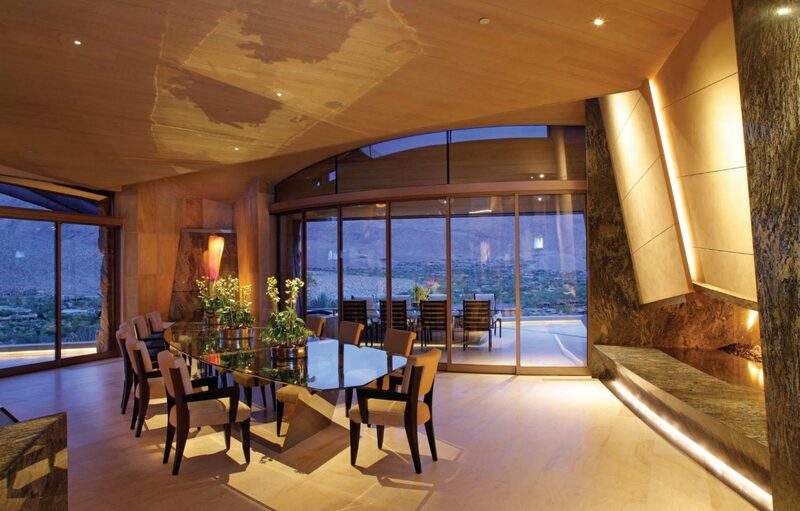 These distinctive treatments are perfect for the unique qualities people look for in luxury homes. 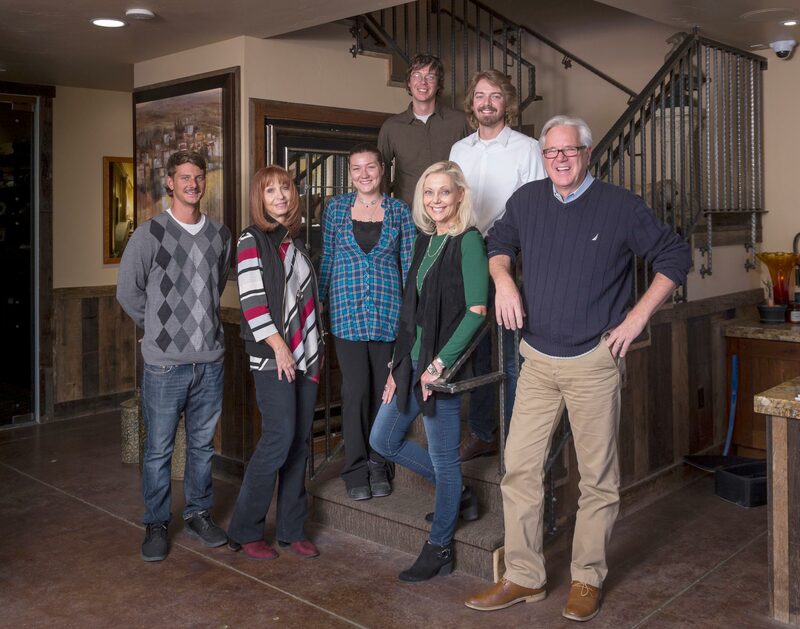 The walls of The Wood Man Floor’s Wasatch Front showroom display the possibilities in rows of samples, and Karen, Josh, and Kyle are willing to develop samples of something entirely new that is not in the showroom. Just down the hallway, a glass window looks into the manufacturing area. 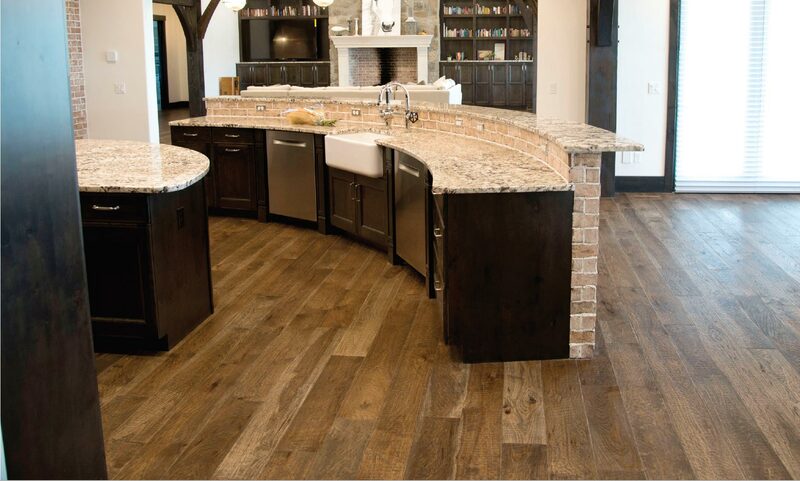 The well-ordered machines can turn out the flooring as you watch, and the Larsons can complete a fully custom order of prefinished floor within two weeks. “We couldn’t find the machinery we needed for the manufacturing process, so Josh and I conceived, designed, and built some of our specialized equipment,” Kyle explains. 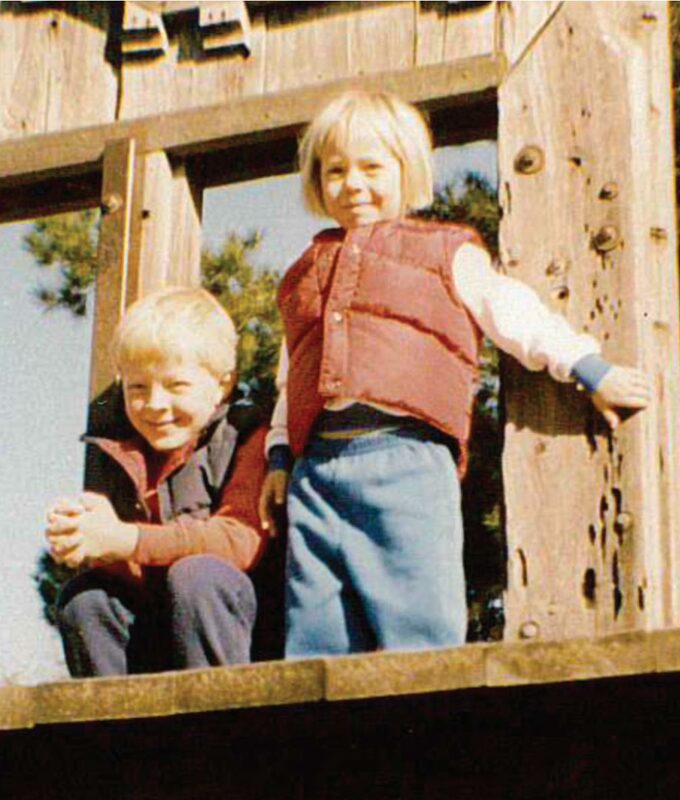 Josh and Kyle Larson started in business together installing wood floors in 2006. Karen wasn’t part of this first enterprise; she worked for another wood floor company for 15 years and learned the business. 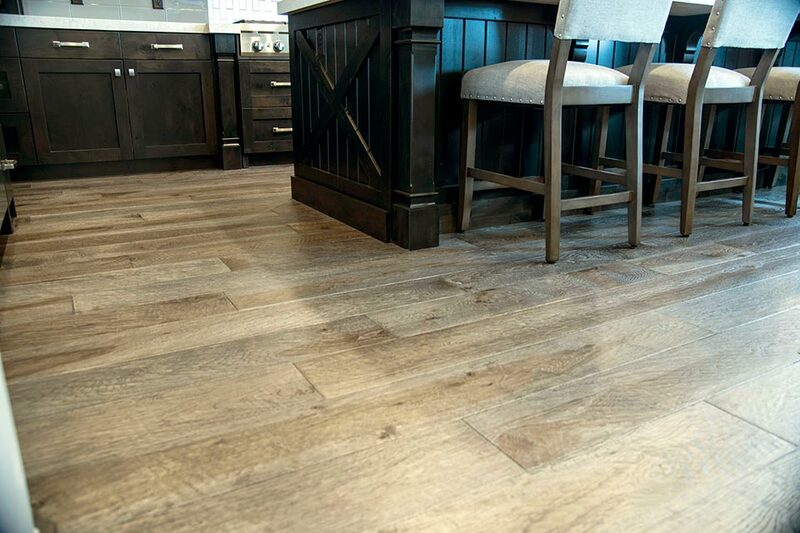 The three Larsons kicked off The Wood Man Floors in September 2015. 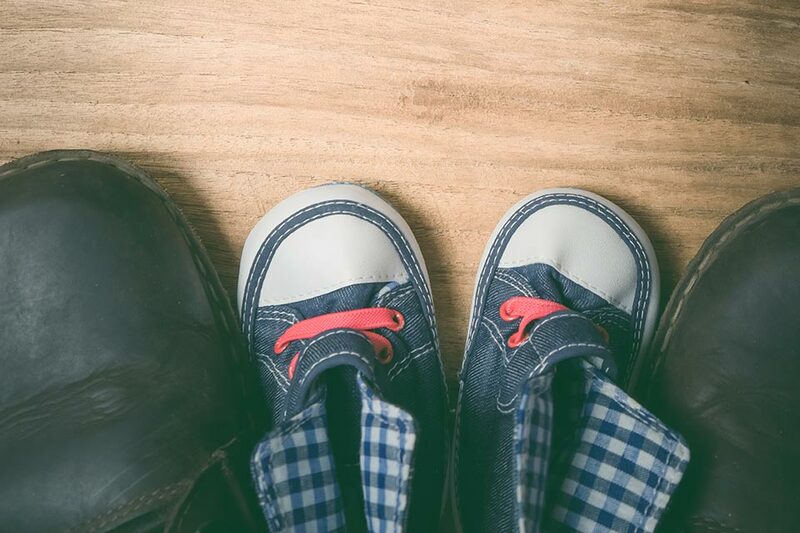 To homeowners, designers, contractors, and architects, the biggest difference with prefinished floors is they can check the flooring before it’s shipped to the job site. They can also watch the flooring being made. 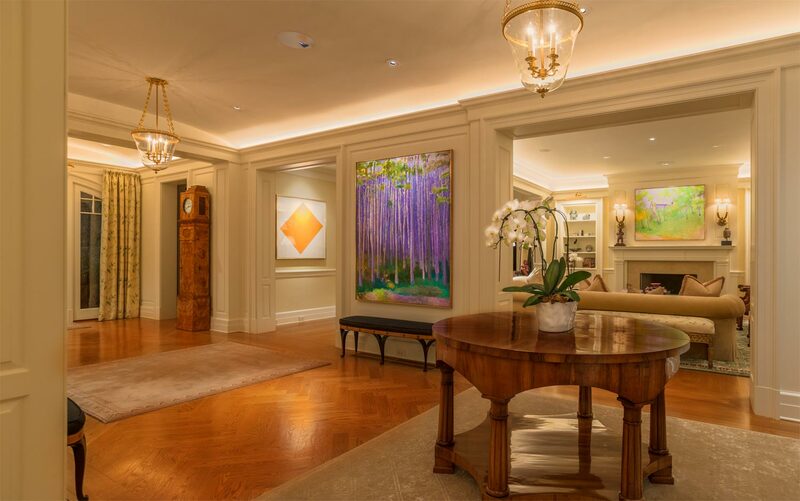 “The floors are truly hand-finished. We sometimes use a circular band saw for a vintage finish; we use a wire brush to bring out the grain; and we scrape the wood with hand tools,” Kyle describes. Karen says that family qualities put clients at ease, too. “We are very honest with each other and with our clients. We will tell the truth, even though it might not be what they want to hear. They see that we trust each other to do our part, and they recognize that we will pull together to get the job done. Lastly, and certainly not least, communications are easier, a lot easier, because we are family. Clients can deal with any one of us; there is no preferred point of contact because they know we will share the information with each other and take care of their needs,” she explains. Karen, Kyle, and Josh Larson are continually thinking about ways to expand their products with new colors and textures and improve and increase production, perhaps by inventing more machinery. Their plan is to not grow too big, but to stay small with personalized custom hand-finished products.